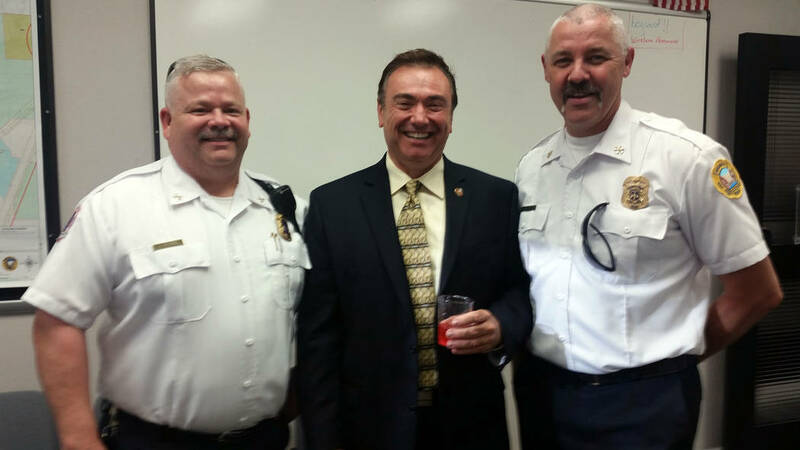 City staff welcomed new City Manager Al Noyola at a reception on Tuesday from left EMS Coordinator Jim Kindel, Noyola, and Boulder City Division Chief Chuck Gebhart. Celia Shortt Goodyear/Boulder City Review City staff welcomed new City Manager Al Noyola at a reception on Tuesday from left EMS Coordinator Jim Kindel, Noyola, and Boulder City Division Chief Chuck Gebhart. Celia Shortt Goodyear/Boulder City Review Boulder City Police Chief Tim Shea, left, shares a story with City Councilman Kiernan McManus, center, and new City Manager Al Noyola at a reception on Tuesday to welcome Noyola to Boulder City. 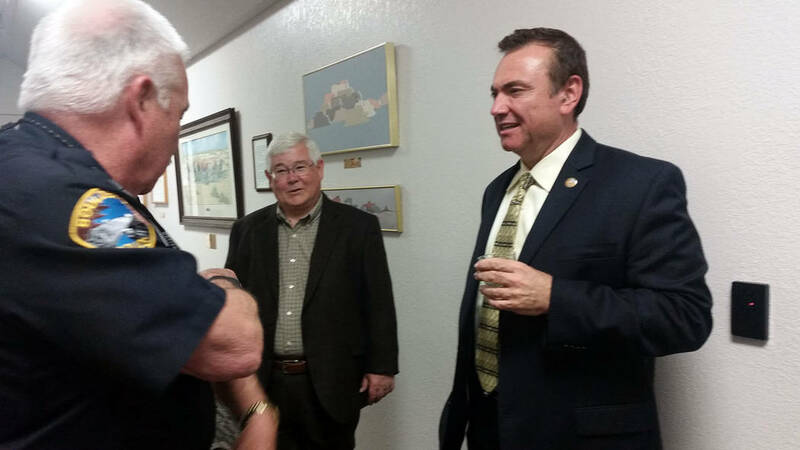 Boulder City Police Chief Tim Shea, left, shares a story with City Councilman Kiernan McManus, center, and new City Manager Al Noyola at a reception on Tuesday to welcome Noyola to Boulder City.